Based on Dee McCrorey's book Innovation in a Reinvented World: 10 Essential Elements to Succeed in the New World of Business, a blueprint for innovating and thriving in turbulent times. Learning can be fun. Seeding Change makes it easy. In need of targeted 1:1 coaching? 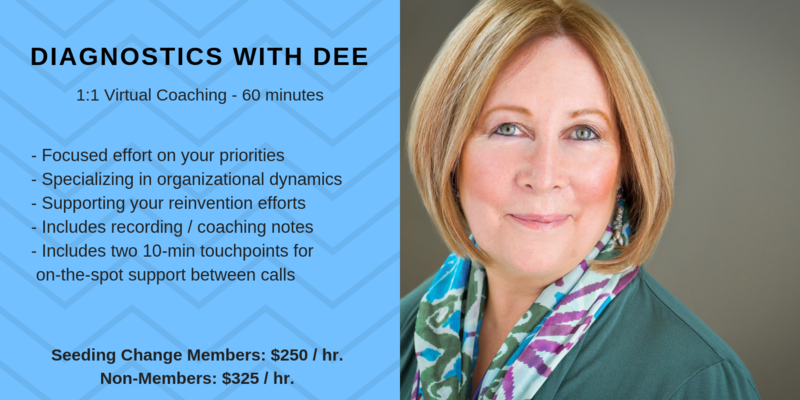 Send me an email at Dee@SeedingChange.link to set up a complimentary 15-minute call to discuss your needs.